Our Texas certified real estate appraisers deliver residential and commercial appraisal services throughout the Sharpstown area for both private use and lending usage. Our mission is to provide a fast, accurate and comprehensive appraisal report that meets our customers’ needs exactly. Our appraisal costs are extremely competitive and we take pride in having one of the quickest appraisal completion times in the area. Our staff of appraisers are all local to the Houston area and are experienced in appraising for varying property types, for any uses including residential, commercial and mixed-use properties. For commercial projects we only employ Texas Certified General appraisers with at least 10 years of experience in the Houston market. Furthermore, our appraisers can perform valuation services for any use including financing, private situations, insurance, legal issues and any other scenario that demands an accurate and reliable property value. Be it homeowners or industry professionals, our dedication to you remains the same – to provide a competent and friendly appraisal service. Should you have any questions or you’re ready to order an appraisal, simply call the number on this site or fill out the appraisal request form found above. 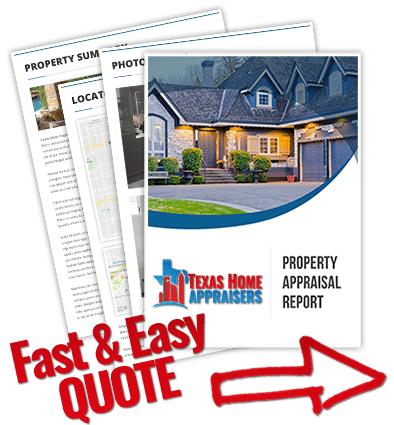 If you require a houston property appraiser to provide a fast and accurate appraisal for your house, call the number above today or submit the fast online quote form.